Test Drive Unlimited 2 is unashamedly ‘Ibiza’. From the very first scene, you are plunged headfirst into a poolside dance party where your trendy party-goer character is asked by an alluring young lady to follow her away from the party and into the swanky apartment next door. It turns out she takes you to the garage to show you your surprise, a sleek red Ferrari, and gives you the keys to take it for a spin. Driving into the sunset your character wakes up – it turns out he’s actually a hotel valet guy asleep in the same Ferrari which belongs to that same – now angry – woman from his dream. The game then takes bit of a Crazy Taxi style twist, where the woman demands to be taken to a club on time for a meeting in return for a place on the Solar Crown Tournament; a season of races which form the backbone of the storyline throughout the Ibiza portion of the game. Even though the glitz and glamour is suddenly taken away at this point, the ‘dance-y’ Ibiza theme continues through the music selection and character personalities encountered as the storyline unfolds. The surprising thing is that Ibiza wasn’t actually originally chosen for its distinctive environment or party scene, but according to the devs, it was a whole bunch of things that fed in to the choice. The team looked for the ‘right size’ of island with the right road density and then needed to make sure that the satellite data was readily available to base the environment upon. The game is not all about Ibiza though; halfway through the storyline, players are taken back to Oahu, the island from the original game, which has seen a few updates to bring it in-line with the improvements seen elsewhere, including new offroad championships, day and night, weather and avatar locations. Between the two islands, there’s a whopping 3000km of track and road to cover. To progress through the storyline, the player needs to complete a mixture of “driving school” challenges and tournaments for each car class. This is accompanied by an in-depth progression system spanning 60 levels, which are completed through ‘Competition’, ‘Discovery’, ‘Collection’ and ‘Social’ goals. The other progression system is ‘licenses’ which restrict which cars you can drive early on in the game. When a driving school challenge is completed, the player is rewarded with a new license, opening up a bunch of new cars available in the garage. TDU2 really comes into its own and lives up to its MMO-like credentials when it comes to community features. The game features a solid guild system where players can found a club, appoint a president and, as a group, build and develop it. A club starts out as a group of 8 players, but if each donates enough in-game money to it, it can be upgraded to a maximum of 32 players. As a club, players can also purchase cars, take part in in-club challenges or compete with others in club vs. club competitions. However, Eden has made a few awkward choices in some of the co-op modes added to TDU2. The “Keep Your Distance” mode is arguably the least accessible, where team members need to maintain a predefined distance between each other over a stretch of road. A simple premise, but it doesn’t really feel fun. However, Farquharson told us that during testing “it is possibly one of the most popular ones after about an hour’s play.” The trouble is, I couldn’t see myself playing it for more than 10 minutes. 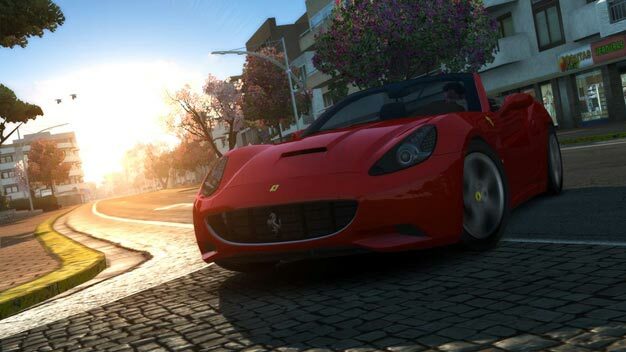 Test Drive Unlimited 2 is being released to increasingly crowded market with both Need for Speed: Hot Pursuit and Gran Turismo 5 hitting store shelves in the next month or two, but thankfully, the game has a strong selling point in its community approach. Despite a few odd choices in the multiplayer modes and the slightly diminished visual quality than the other two major racing games, it’s showing a lot of promise and could easily become ‘that’ game you pick up over and over again. 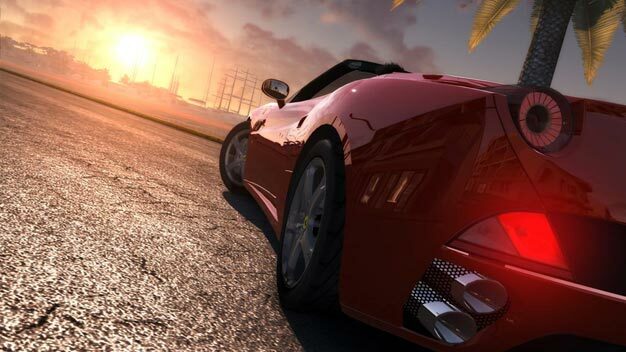 Test Drive Unlimited 2 is scheduled for release on Xbox 360, PlayStation 3 and PC in Q1 2011.